Educational Qualification : ITI with relevant trades recognized by NCVT/DGET or H.Sc. (10+2 ). NLC Selection Process : Selection Will be based on Personal Interview. 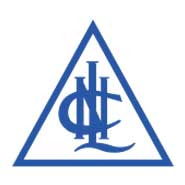 How to Apply NLC vacancy : Interested Candidates may apply Online through the Website www.apprenticeship.gov.in from 28.09.2017 to 07.10.2017 And Printout of Online Application along with self attested copies of certificates & Document send to the The General Manager, Recruitment Cell, H R Department, N.L.C India Limited, Block- 1, Neyveli – 607 803 Tamilnadhu on or before 12.10.2017.